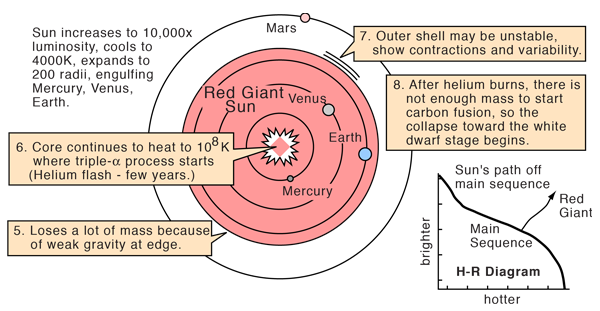 From observations of numerous other stars which appear to be similar to our Sun, it is anticipated that the Sun will eventually move upward and to the right of its current position on the main sequence and enter a red giant phase. The final stage of our Sun is anticipated to be as a white dwarf. .